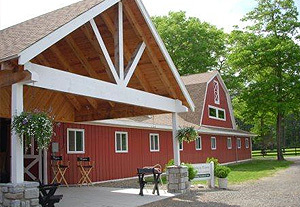 Kingsway Farm in Halifax, Massachusetts is a hunter/jumper training facility dedicated to the happiness, comfort and well being of its equine athletes. The farm participates in an active show schedule throughout the East Coast and offers lessons for beginners through advanced riders. 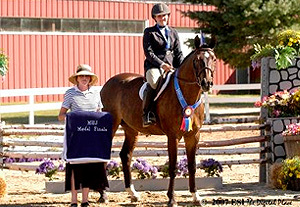 While most of the farm’s horses compete as hunters, jumpers and equitation horses the farm has a dressage trainer and is home to several dressage horses as well. To build and improve upon their flatwork, many of our horses (and their riders) “cross-train” which helps keep our horses happy and fit. 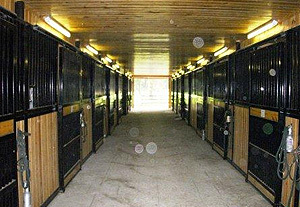 Completely remodeled in 2008, the entire farm layout was designed keeping in mind the advancements in stable management that demonstrate the importance of turnout, airflow, lighting and herd dynamics in today’s horse. We also believe that proper nutrition is a critical part of managing any horse but particularly those who undergo the rigors of training and showing. SmartPak is a crucial part of our management program and allows us to formulate targeted supplement regimens that help keep our horses happy, healthy and competitive. With our busy show schedule it is so easy to pack just enough SmartPaks for each horse and when many of our horses spend time showing on the Florida circuit in the winter; it just takes one phone call to SmartPak’s great customer service to have the horses’ monthly shipments sent directly to the horse show. SmartPak’s Smart-Supplies also make our job of keeping all of the farm’s residents (thirty horses, two Jack Russell Terriers and two very spoiled barn cats) well taken care of with equine, dog cat, (and people!) products we all love!